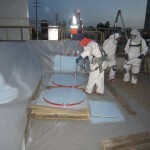 Murphy Industrial Coatings applies protective coatings and linings in the industrial marketplace for new construction and maintenance projects. Murphy attributes the success of its company to the high quality of workmanship and service that it has provided its customers for over 40 years. Murphy is committed to maintaining high standards of excellence in safety, application, and quality control. Existing steel outfall and inlet pipeline located within OCSD’s pump stations and surge towers. The existing 120-inch steel ocean outfall was constructed in the late 1960’s and began operation in the 1970’s. During an inspection in 2010, it was determined that significant corrosion had degraded the suction and discharge piping of the ocean outfall segment between the Ocean Outfall Booster Station and the surge tower. Raven 405 was selected for the project because of its 50-year design life and high physical strength. 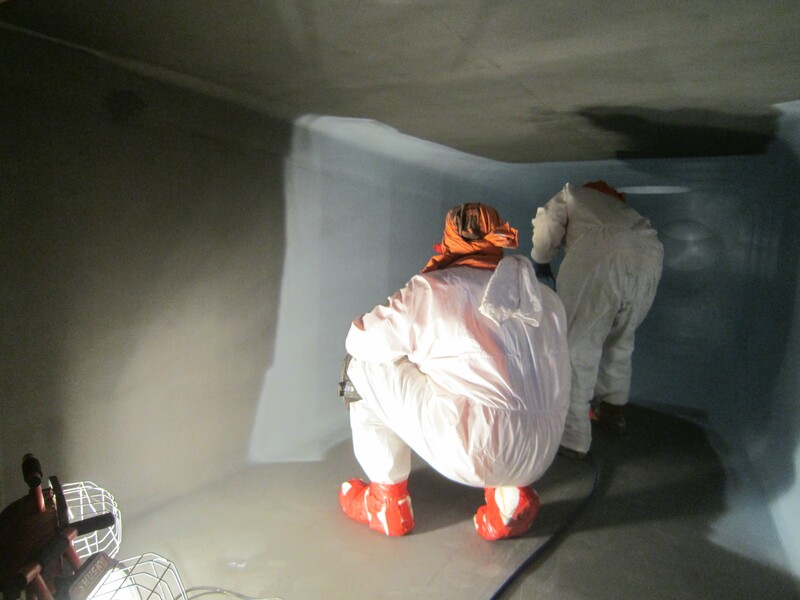 The project specification called for removal of the existing coal tar epoxy and cleaning the steel to meet SSPC SP-10/NACE No.2 standard. 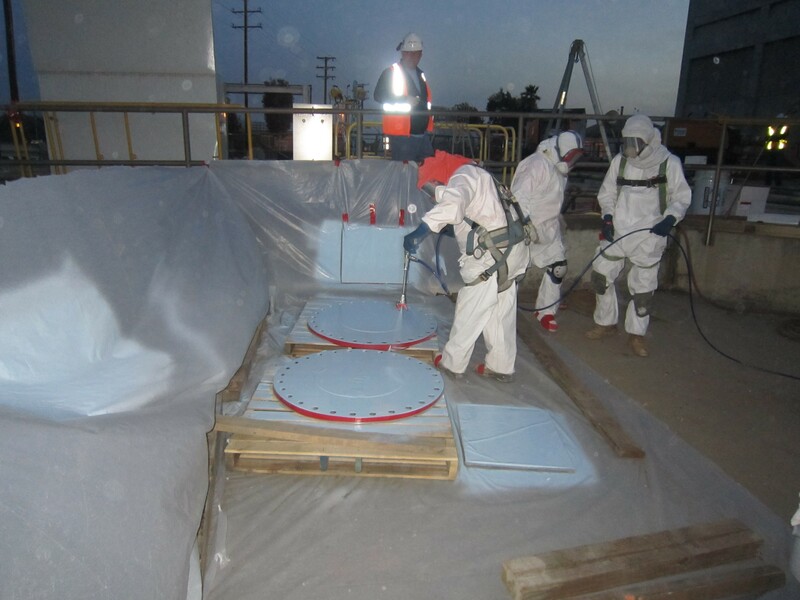 A minimum of 60 mils dry film thickness of Raven 405 was then applied to the prepared steel by Murphy Industrial Coatings. The coating system was tested to ensure a holiday free and monolithic coating existed. 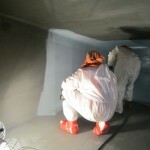 Adhesion testing was also performed to confirm the adhesion of the coating to the steel substrate.